Established in 2012, we, Hopscotch Wholesale Trading Private Limited are wholesaler and trader of Kids Jeans, Kids Full Sleeve T-Shirts, Kids Night Dresses, Kids Sweaters etc. 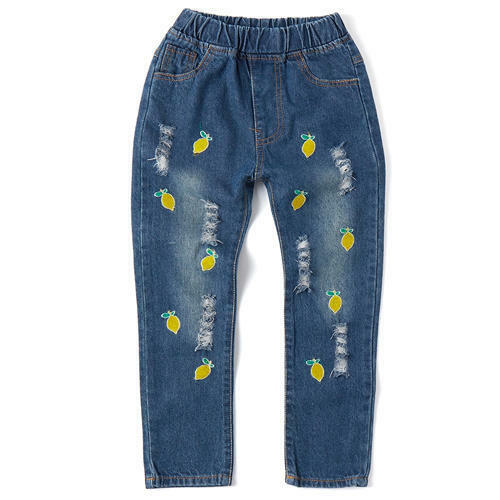 In order to ensure high standards of quality, Kids Jeans, Kids Full Sleeve T-Shirts, Kids Night Dresses, Kids Sweaters are sourced from trusted vendors of this domain. Known for their alluring design, vibrant color combination and contemporary appearance, the Kids Jeans, Kids Full Sleeve T-Shirts, Kids Night Dresses, Kids Sweaters are sourced from trusted vendors. In order to ensure safe and accurate delivery of the Kids Jeans, Kids Full Sleeve T-Shirts, Kids Night Dresses, Kids Sweaters at the patrons with a promised time frame, we have set up a wide distribution network. Furthermore, we have appointed strong logistic support systems, for ensuring timely delivery of the children apparels, baby feeding products and kid’s footwear within promised time frame.